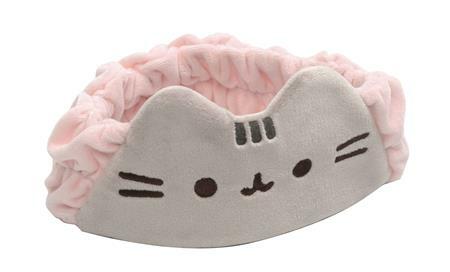 Hey there, Pusheen lover, wear your Pusheen the Cat Spa Headband! Take your relaxation to the next level and head to the spa in style with this adorable 9 1/2-inch headband that's made of super-soft plush. It features embroidered details of Pusheen's signature smile, and the padded elastic band keeps your hair back comfortably and securely! Surface washable.